1. VISION: Collaboratively drive a short, focused mission statement that captures our identity and purpose and becomes the baseline for all that we do. 2. HOSPITALITY: Collaboratively build greater intentionally and training into our hospitality. 3. CONNECTIONS: Collaboratively create a Connections Team to develop and execute a strategic plan for reaching and engaging younger generations. 4. DISCIPLESHIP: Collaboratively build a Faith Development Pathway for persons of all stages. 5. LEADERSHIP: Develop a strategy for intentional leadership development, placement and accountability. Those who have been a part of the Healthy Church Initiative process were invited to a one-time workshop led by the Rev. Gene Wisdon, to fulfill our Prescription #1: determine a 4-8 word vision Statement based on our core values that states clearly who we are and what we are about as a church. Our mission as the United Methodist Church is to “make disciples of Jesus Christ for the transformation of the world,” but what is FUMC Plano’s vision of itself in fulfilling that mission in our particular context? Everyone has an important word to contribute to this conversation. Contact Kevin Clanahan. Surfacing from the Visions & Values workshop led by Rev. Gene Wisdom were values and hopes that have consistently popped up since we began this HCI work. What does the community need from us? Reflect God, be present, cultivate love in our community. Offering compassion and acceptance to our community. Warming hearts by building relationships with grace and compassion. Sharing the love of Christ with others. Showing the love of Christ beyond our walls. Reflect God. Cultivate Love. Build Relationships. Extending God’s grace and hope to every life. Reflecting God’s grace to those looking for hope. Beginning on Palm Sunday and continuing through Easter, we incorporated suggested changes to help us move from being not only friendly (which we do well) to being more intentionally welcoming and connecting to the new face among us. Trained “meet-ers” (Connectors) made their debut on these Sundays. Melanie Smollen from Faith Perceptions, the organization who prepared the Mystery Guest Report for our church, discussed the primary goal of the report, to help us gain an outside perspective of what guests are experiencing when they attend services at our church and what (if anything) we can do to improve that experience for future guests. During the call, she led us you through the findings and summarized what the strengths and opportunities are for improving the way the church welcomes and connects with guests. Building greater intentionally into our hospitality! In an effort to address our hospitality prescription from Healthy Church Initiative, our Hospitality Team created two stickers: a Methodist Cross & Flame, and a red heart that says, “Ask me ANYTHING about FUMC Plano!” Guests will be given a Cross and Flame sticker to wear and the red heart sticker will be for our “Connectors.” They are responsible for connecting guests with those who regularly attend worship. Our Connectors will concentrate their hospitality efforts after the services inside the sanctuary while greeting guests wearing the Methodist sticker and making them feel welcome. Then, continue connecting in the Gathering Area. Are you interested in becoming a Connector and wearing one of these cool stickers? Contact Ed Volfe, evolfe@fumcplano.org. 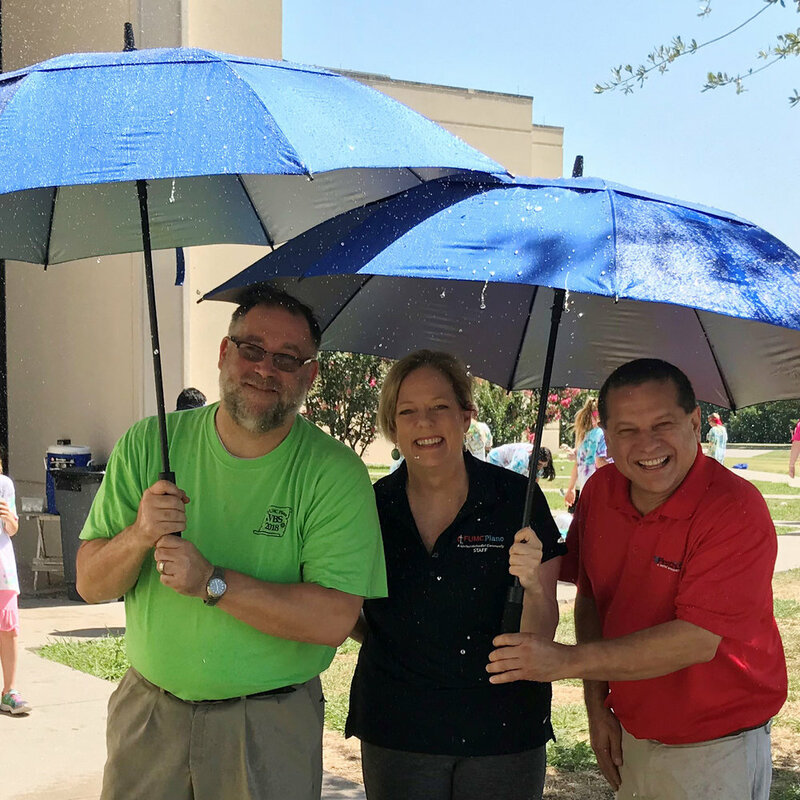 Our Hospitality Team also purchased beautiful BIG umbrellas for our Connectors to use on rainy days to welcome our guests and church members. Providing a safe environment for our children to learn and grow in their faith is so important. Ignite Children’s Ministry is excited to introduce the new electronic check-in system upstairs for our children! This was one of the suggestions offered during our secret shopper evaluation of the Healthy Church Initiative. 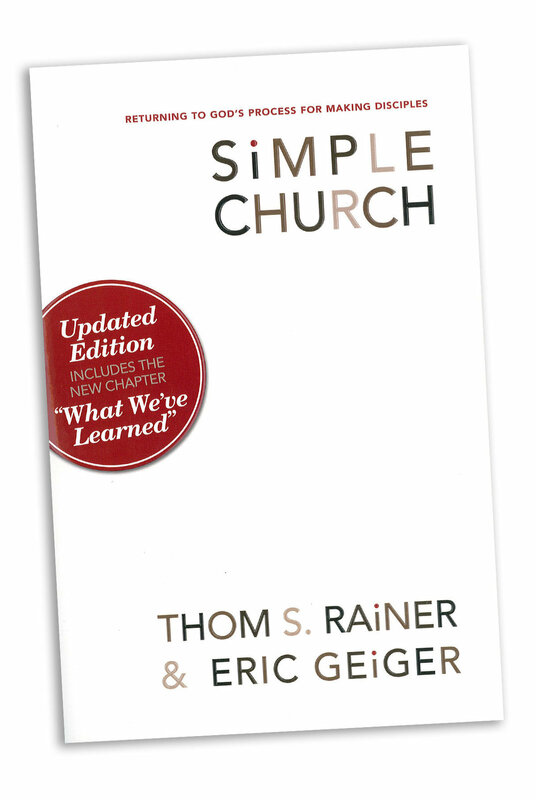 The Healthy Church Initiative is a process, not a program. It takes the church through steps, led by local trained people (facilitators, coaches, and consultants) from North Texas. The Large Church Initiative of the HCI process focuses on churches with mid- to large-sized congregations. Through a combination of shared learning experiences, coaching and consultation, this process helps congregations more effectively join God in God’s mission. This long-range planning initiative was voted unanimously at our Charge Conference last November 2016. Phase 1 included Gloria Fowler, a Conference consultant, working with our church exclusively earlier this year as we read and discussed material pertaining to vital, growing churches. CLICK HERE to see the reading list. As part of the Phase 2 process of HCI, we are asking all of our people to complete a congregational survey to provide our consultation team valuable perspectives about our church. It’s short, easy to use, and completely anonymous. Our goal is to have at least 50% of our people complete the survey, but the more the better! Prayer is an important part of growing with God. As part of the Healthy Church Initiative, we are asking church members and guests to be in prayer for each other, our church, the community around the church, and for the transformation we seek to make FUMC Plano a simple, healthy, vibrant church family filled with disciples and making disciples of Christ in North Texas.